For centuries, tribal peoples have had their lands stolen and suffered violence and oppression. But things are changing... join us in celebrating some of the reasons for optimism. The time when entire peoples could be wiped out without anyone noticing is drawing to a close. The abuses of tribal peoples’ rights now make worldwide headlines. In the case of the Yanomami of Brazil, an international campaign helped to secure their lands – and resulted in one of the biggest protected areas of rainforest in the world. Courts are more willing to stand up to governments. The Kalahari Bushmen are returning to their lands after a landmark court case funded by Survival supporters. The movement for tribal peoples rights is broader than ever before. The Dongria Kondh tribe’s sacred mountain was saved from a British mining company after a worldwide outcry; their story was compared to the fictional Na’vi in the Hollywood blockbuster Avatar. The lazy racism which describes tribal people as ‘primitive’ and ‘backwards’ is now being challenged wherever it occurs. Like all human societies, theirs are constantly changing and developing. Accusations of savagery are as wide of the mark as doomed attempts to ‘preserve’ living cultures. In fact, tribal people are the original scientists. They developed many of the planet’s staple foods – crops which feed billions of people today. And without their botanical knowledge, many vital medicines might never have been developed. Tribal people are not mere shadows of Western civilization, failed attempts to emulate us. Their ideas and visions are a different way of approaching the challenges that face humanity in the 21st century. Where their fundamental human rights are respected, tribal societies are strong, rich and vibrant. How the majority chooses to treat those who are most different to themselves, those who have chosen a different path to their own, is one of the pressing issues of our time. More than a hundred tribes around the world have chosen to reject contact with outsiders. Many of them will be aware of the violence and disease which ravage isolated communities following contact. All have the opportunity to encounter the outside world but choose not to. Until recent times, uncontacted peoples who succumbed to outsiders’ diseases and violence simply disappeared. Today most of their lands are protected — at least on paper — and invasions of their lands are seen as a major human rights violation. Survival continues to put pressure on governments and corporations to respect the rights of uncontacted and isolated peoples throughout the world. For 500 years, some have said that it is only a matter of time before tribal peoples disappear. Sometimes that sentiment is accompanied by a sigh of regret. Sometimes it is in the rhetoric of politicians planning to steal natural resources from tribal lands. But while the world’s tribes have suffered greatly over the centuries, their disappearance is no foregone conclusion. More tribal peoples than ever before have rights over their lands recognized. From the headwaters of the Amazon to the Australian outback, tribal communities are living on the lands of their ancestors – and thriving. All the inhabitants could be taken away or held as slaves, for with 50 men we could overpower them all and make them do whatever we wished. Because of your ceaseless efforts we are surviving. 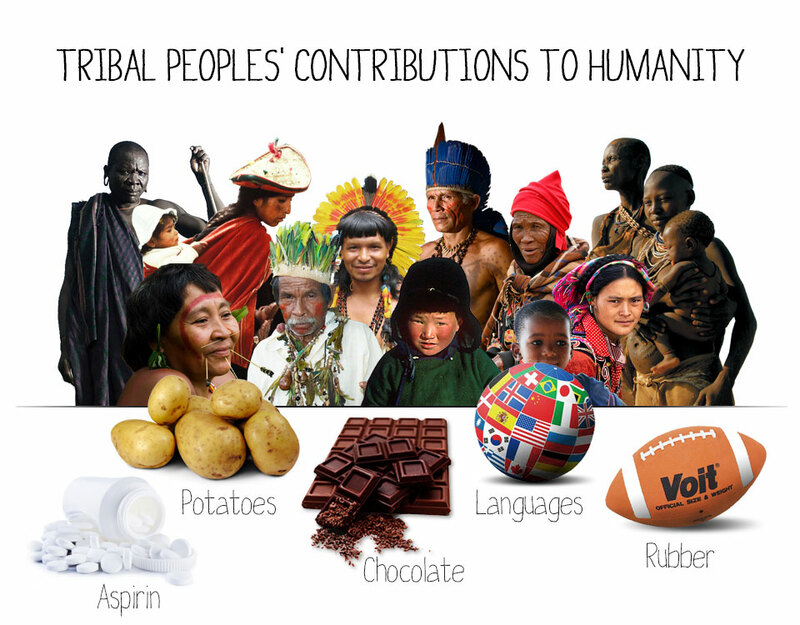 Of all the different ways of being human in the world today, most are tribal. The same goes for all the planet’s languages. Tribal peoples offer everyone unique visions of what it means to be human, and of humanity’s place in the world. Without them, we are all poorer. 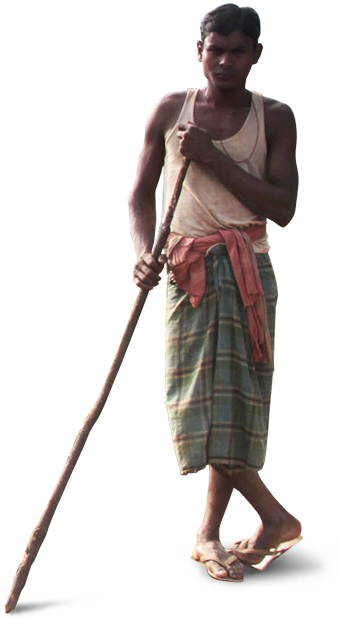 And tribal people are the best guardians of the natural world. Where they have been allowed to continue living on their lands, forest cover and biodiversity can be much higher than in other kinds of protected areas. Many tribal people know something that many of us have forgotten: that we are not separate from nature. In a world full of complex problems, the solution to this one is simple. Tribal people are not threatened by progress, but by other people’s notions of what progress must be. They know what is best for themselves, and the threats to their survival — land theft, forced assimilation, violence — are crimes. International law is finally catching up and providing tribal people and their supporters with the tools to fight back. But the long-term solution is simpler still: focusing global attention on the threats – and celebrating the successes. A rising groundswell of public opinion the world over will put paid to the abuses forever. Survival has over 150,000 supporters in nearly every country in the world. We accept no money from any national government. If you value our work, please consider supporting it with a donation. Together, we can take on the governments and corporations threatening the survival of the world’s tribal peoples.